I read this article and found it very interesting, thought it might be something for you. 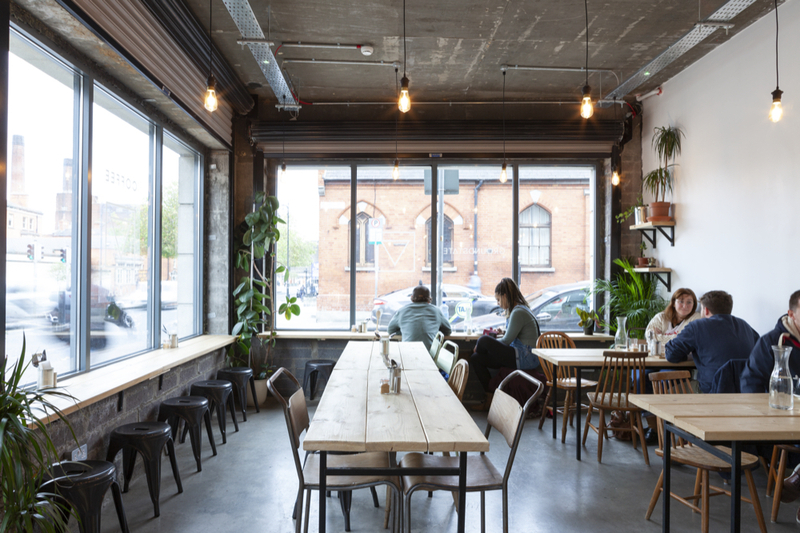 The article is called Gastro: Groundstate Coffee and is located at https://www.totallydublin.ie/food-drink/food-drink-features/gastro-groundstate-coffee/. 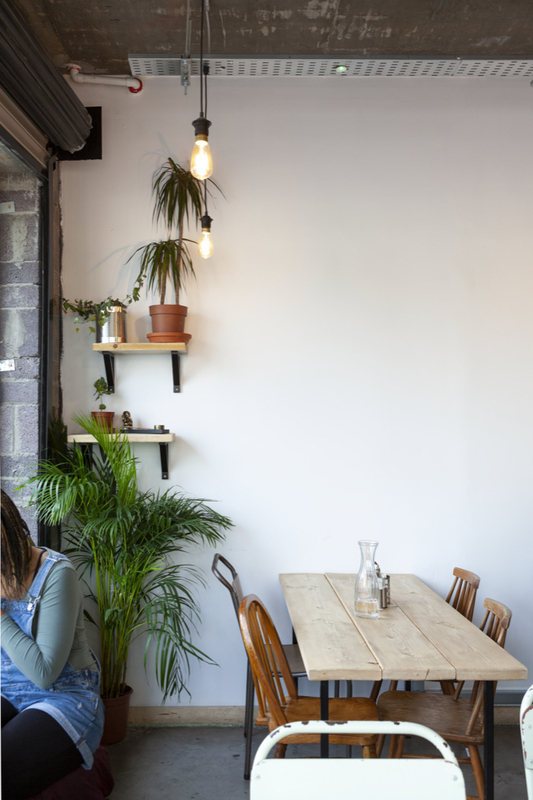 Groundstate Coffee is a project by childhood friends Andy Joyce and Mark Quilty. They grew up together in Tramore before moving to London where Joyce worked in science research and Mark ran a plumping company. While in London, Joyce pursued a passion for specialty coffee by working part-time in a coffee stall in the London Fields food market in Hackney. When he moved back to Dublin a few years ago, he began working with Love Supreme in Stoneybatter. Meanwhile Quilty had developed a grá for yoga and meditation, and had become a certified yoga teacher. The pair decided to combine their dream jobs and went in to business together to make those dreams a reality. The pair found the space on James’ Street in 2017 and, thanks to Quilty’s background in construction, did the entire fit out themselves bar the electrics. They opened in September 2018 and hit the ground running. 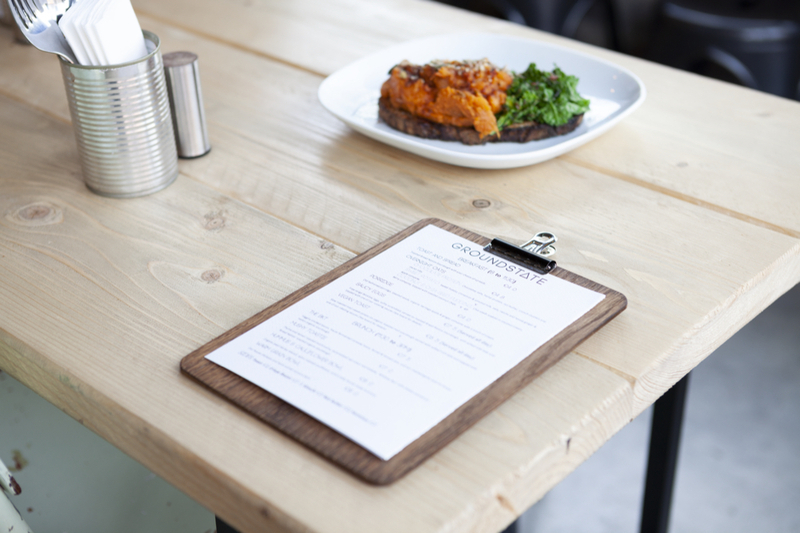 In the lead up to launching, they worked with Chef Aoife Allen from The Fumbally to design a menu. Their Head Chef Dom Surace, formerly of Token in Smithfield, has been building on Allen’s concept menu and adding his own stamp to suit the café. A friend who lives nearby joins me for a plate of Saucy Eggs (€7.50, served all day). He’s seen the café find its feet over the previous weeks; he feels he’s been a silent witness to the refinement of the food menu and serving process. This café appear to have hit their stride. A number of local food stars shine brightly on the menu. There’s sourdough from the exemplary Bread Nation, an independent bakery on Pearse Street. Bacon in the BKT (€7.50) is Higgins smoked bacon from the family butchers in Sutton. Eggs are free-range and from Wicklow, and the Mushy Toastie (€7) features Wicklow Ban soft cheese, which melts superbly. Special mention must go to Surace’s excellent kimchi. It’s made with Chinese cabbage, carrot and daikon and it fizzes with fermentation when it meets the tongue. Surace and his team also bake scones and blondies for the dessert display, and Bites Raw by Elin supply a really excellent range of raw cakes and protein balls; a raw carrot cake is especially delightful thanks to its well-balanced spice profile and a light vegan icing. Coffee beans are from Gardelli Coffee, a specialty roaster run by Rubens Gardelli, a multi-award winning brewer and roaster, based in Forlì, Italy. A flat white (€3) is served in a petite, handle-less cup made by a Polish pottery studio. The coffee is a good temperature, it’s full-bodied and packs a punch. It’s a good all rounder. The space is designed to be multi-purpose; it’s a café by day and a yoga studio by night. From Monday to Friday, the café tables are cleared from the floor to create an intimate evening-time yoga space. Groundstate are currently running two classes per evening with a maximum of fourteen students. They’ve brought in a number of teachers, including Laura Lenehan, Paul Geoghean and Lea Segev, to run a diverse programme of yoga that includes the practices of Vinyasa, Hatha and Ashtanga.. It’s €15 per class or €120 for a bundle of ten classes, and booking is online only at groundstated8.com.